Are you ready to display your business’s Food Hygiene Rating sticker? Do you dread the Environmental Health Inspector’s visit? 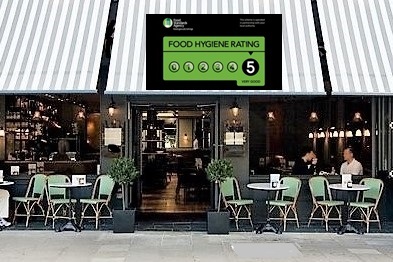 Are you confident your next EHO inspection will result in a 5 rating? How would loosing your 5 Star Rating make you feel? Are you staff up to speed with recent food safety law changes? Are your staff aware of the consequences of a food safety breach? Are you aware your Food Hygiene Rating is available online or on an app for all to see? Scoring below 5 is no longer an option; customers are now expecting the highest food safety standards possible.